Motorola 21 IN 1 - 21 MEGAPIXELS. 21 MOMENTS. 1 SHOT. 92% of smartphone users use their phone as their primary camera. We had to demonstrate that the 21 MP Moto X was the best camera phone in the market. To prove it, we challenged a tableaux vivant photographer to capture 21 choreographed moments in one shot. Then we created a deeper experience with interconnected films across the Instagram grid. The moments within the shot were connected, inviting people to explore the image on a deeper level. Girlfriend ignores text from boyfriend, hangs with surfer. Boyfriend sees girlfriend with surfer, lets go of balloons. 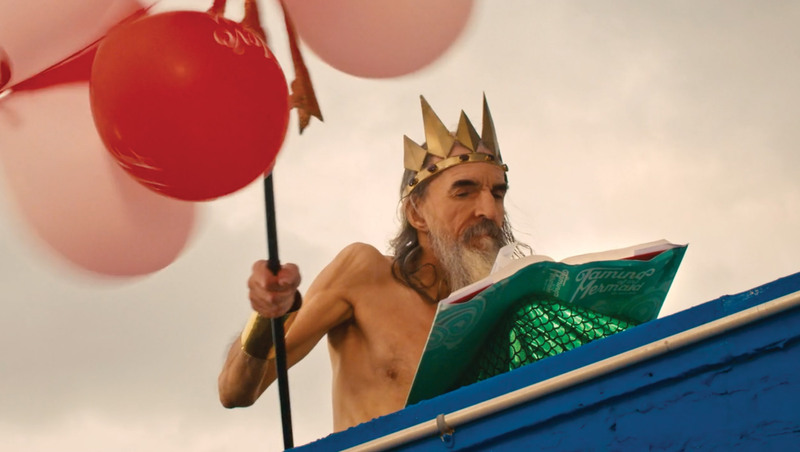 King Neptune, atop a roof, pops the drifting balloons. It just blows my mind that we were able to pull it all off in one shot with the moto x.